To meet the demands of today’s media environments, storage solutions must satisfy high requirements in terms of scalability and workflow integration. In particular, it is crucial that users can access media files immediately. R&S SpycerNode solves these issues, offering an easy-to-use interface, an HPC file system, market-leading erasure coding mechanisms and many more functions that let users focus on their creative work. In addition, Rohde & Schwarz has expanded its web-based device manager for use with R&S SpycerNode to simplify system configuration and maintenance. 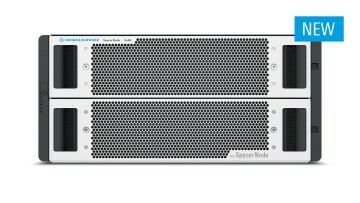 R&S SpycerNode features IBM Spectrum Scale. 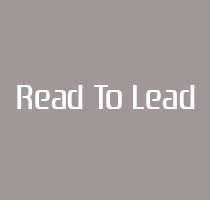 The file system has proven itself in numerous HPC applications around the world. It simplifies and optimizes storage workflows, using features such as single namespace, online scalability and information lifecycle management. The R&S SpycerNode stores files intelligently based on performance requirements. All R&S SpycerNode storage tiers are presented under a single namespace, which greatly simplifies file handling. The storage solution can be scaled as needed – even during operation. R&S SpycerNode provides scalability irrespective of the system size – starting with the smallest unit up to large systems. As a result, there is no need to exchange or replace existing units. The combination of a declustered array and erasure coding, in the event of disk failures, drastically speeds up rebuilding compared with traditional hardware-based RAID approaches. Critical error conditions are detected and errors rectified immediately. Many conventional storage setups provide full redundancy only when multiple units are involved. In contrast, R&S SpycerNode offers full redundancy even for single units, ensuring that media files will be securely and safely stored at any time. R&S SpycerNode exhibits no single point of failure – neither in terms of hardware nor software. It protects the customer’s business right from the start, no matter what the system size, thus protecting the customer’s investment. The storage solution is available in different configurations from 2U12 up to 5U84. SpycerNode will be showcased from September 14 to 18 at IBC 2018 in Amsterdam in hall 7, booth B21. There, a launch event will take place on September 15, 4.30 p.m.
Top Image: R&S SpycerNode combines enterprise-class hardware with state-of-the-art software technologies.